Heaps of vigorous colour. Great fun. Colourful, fun and challenging puzzles featuring dinosaurs galore! In Dinosaurs Galore, brightly-coloured cartoon dinosaurs of every shape and size feature in this collection of puzzles and games for children, who will enjoy searching for hidden animals, matching up species, reading coded messages, finding their way through mazes, and numerous other attention-grabbing games. Not strictly a picture book, but instead a visually evocative activity book, kids will adore these brightly-coloured cartoon dinosaurs of every shape and size, with that super cool retro modern look Sebe does so well. There’s puzzles, searches, mazes, look and finds, spot the differences and much more. When the kids are done having a wonderful play time, tear out the pages and frame them for their bedroom walls… this is some super cute decor-enhancing stuff. For parents who prefer to buy openly educational books, this offers a mid line – rainbow coloured visual puzzles loosely based on stylised and cute dinosaurs of the cartoon genre. Find a way through the maze, match pairs, find the odd one out, decipher a coded message: the skills required are sufficiently advanced to make this book well suited to schoolage children, though I would probably introduce it to challenge bright four year olds. Children will love the colour and the detail as well as the subject matter. 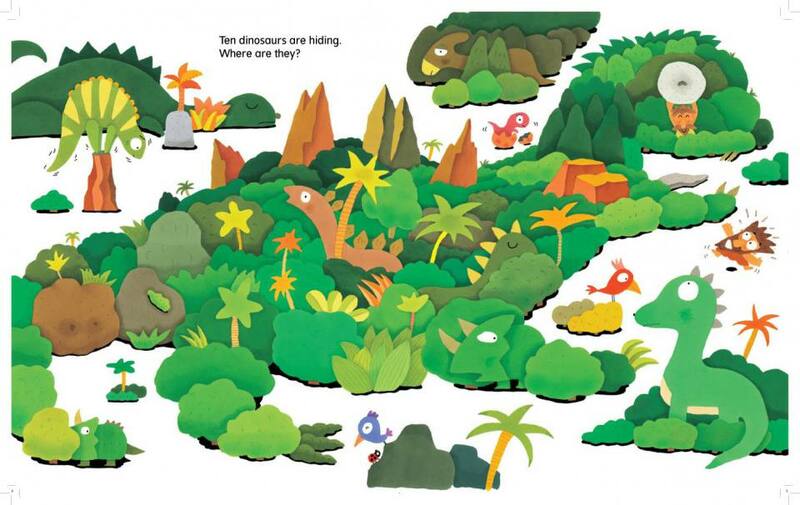 Dinosaurs Galore is an extremely attractive puzzle/game book which consists of 12 different puzzles. 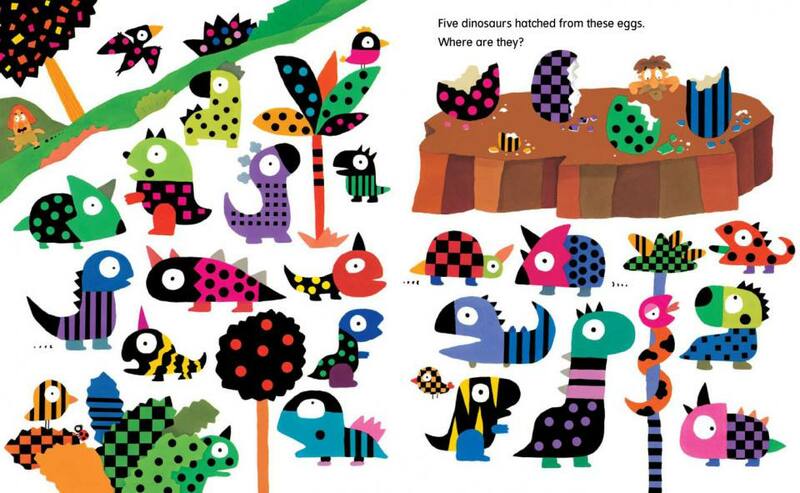 Boys in particular seem to be very drawn to the colourful and cute dinosaur illustrations. This book would make a wonderful birthday present for someone or it could be a great book for a wet winter’s day. Brightly coloured cartoon dinosaurs of every shape and size feature in this humorous collection of puzzles and games for children who will enjoy matching up species, reading coded messages, finding their way through mazes, and numerous other attention grabbing games. The book in large format and with an answer key at the back will hold their attention for long periods as they puzzle out the solutions to every task on its pages. 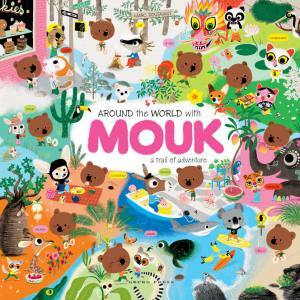 Brightly coloured activity book which is great for keeping kids’ brains active. The dinosaur-themed book for children aged seven and over includes puzzles, games and challenging activities such as mazes. The big, bold illustrations are ideal for drawing in young problem-solvers. Every child loves dinosaurs. They all have a favourite and seem to be able to pronounce their names better than most adults. Dinosaurs Galore is aptly named … it is chocker with dinosaurs, cartoon ones, of every shape, colour and size. Although aimed at children around 7, the dinosaur-mad 4-year-old I sat with pored over this book searching for hidden animals, matching up species and following mazes with absolute delight. No sooner had we finished the book than she had tucked it under her arm and was moving on to Dad for more. The charm of this puzzle book with its double page spreads in wonderfully bright colours of dinosaurs, small animals, vegetation and cave men, is that some of the puzzles which seem so simple at first, actually need quite a deal of working out. Bright, artistic and challenging, this book contains 23 pages of large-format activities designed to stimulate and amuse young minds. Aimed at ages seven and older, the book contains puzzles and games for children who enjoy searching for hidden animals, matching up species, deciphering coded messages and navigating mazes. Children and adults will be drawn into the pages by the colourful cartoon dinosaurs of various shapes and sizes, while the challenging yet not impossible activities will keep their attention – just don’t tell them the answers are at the back! Brightly coloured cartoon dinosaurs feature in this collection of 12 different puzzles and games that, while challenging, are still designed for children aged 4-7 to enjoy. Work your way through the mazes, match the pairs, read coded messages and find the odd one out. All have been designed by an artist known for his bright illustrations and sense of humour. Created to develop cognitive skills and problem solving, the emphasis is on making the whole experience fun. Plus the answers are at the back. 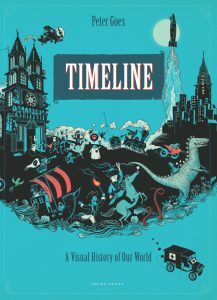 Dinosaurs are always popular, and this book will be too. 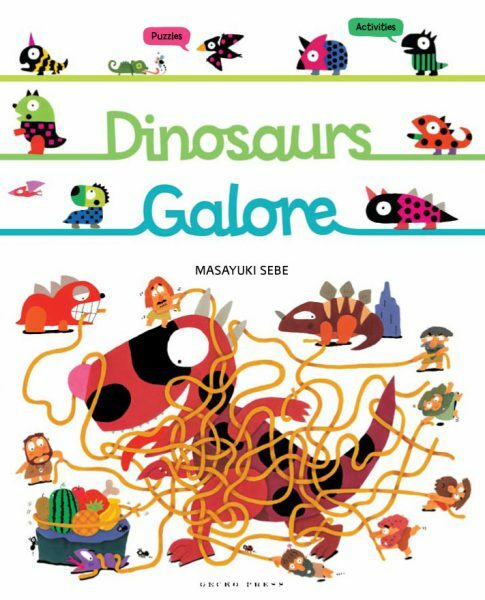 Another Gecko Press production, by Masayuki Sebe, it’s an activity book with dinosaurs on every page. There are mazes and spot the differences, codes, find the dinosaur, lots of things to find amongst the huge amount of detail. There are answers on the last page for parents who can’t work out the answers themselves. Some of the puzzles are quite challenging, so the book will keep kids happy for a while. Heaps of vigorous colour. Great fun. Dinosaurs Galore is a collection of puzzles and games for children featuring bright, colourful cartoon dinosaurs of every size and shape. Some of the puzzles are harder than others but they will all help young readers to develop observation skills. Children who enjoy searching for hidden animals, matching species, reading coded messages, finding their way through mazes and spotting differences will particularly love this book. There is very little text (just giving instructions on how to solve each puzzle or game) and it is in large format to make it easy for little ones to read and understand.